Mizuno’s first American golf balls: RB Tour and RB Tour X If you live in the U.S. you might have heard rumors of Mizuno golf balls over the years or even seen images of some on the web but most likely never played one. Those days are about to end. The new Mizuno RB Tour and... I think Mizuno is underrated for a lot of things, like drivers, but… I think I'll pass, mostly because of the price. I'm looking for recommendations on balls, grips, or other types of equipment that you all like that are not from a big name company. Most people will use Taylormade, Titleist, Callaway clubs, etc. but there is a growing market for smaller name companies. For example, four years ago, not many people knew what Parsons Golf (PXG) was and now they have a dozen or more tour pro's on staff. What recommendations do you all have? The “2017 Snell PGA Championship Prediction Contest” got me thinking about golf balls. When I first starting playing golf, I pretty much paid no attention to the brand or model. A golf ball was a golf ball as long as it wasn’t damaged. The only brand/model that I can recall from my youth was the “Wilson K28.” Someone (perhaps the club pro?) told us that the “Wilson K28” was a good golf ball so every Father’s Day for several years we bought my father a dozen. He was never much of a golfer and my guess is a few decades later, there were still one or two Wilsons rolling around in his golf bag. Some of you older golfers might remember the “British Open Ball” prior to 1974. The R&A’s minimum diameter was 1.62 inches versus the USGA conforming 1.68 inch minimum diameter. All the professionals who played in “The Open” prior to 1974 would switch to the smaller version as it was believed to go farther and was less affected by the wind. Beginning in 1974, “The Open” switched to the larger ball and by 1990, all conforming golf balls were 1.68 inches or larger in diameter. I once found a “small ball” and while I can’t state whether it went further, it was visually smaller. Today, many of the non-conforming maximum distance balls (e.g. “Bandit”) are made with smaller diameters. After graduating from college I began to become aware of different golf brands and models. My ball selection primarily involved superstition. If I had a particularly good round or two playing a Maxfli DDH, that became my ball until I lost all the Maxfli’s. Eventually I would have another nice round while playing a Wilson Ultra and that would become my ball until that supply was exhausted. The nice part about the cheaper brands and models was they were “cut proof” because of the Surlyn cover. If one played a Titleist Professional, with its balata cover, a thin 3-iron could almost cut the ball in half. We amateurs had lots of experience putting a “smile” on the ball with poorly hit shots. With the introduction of the ProV1, the consensus was that it was the “best”. I avoided playing ProV’s for a long time because my game wasn’t good enough (plus the $50 a dozen cost). Eventually, I found enough pristine ProV’s that I decided to give them a go. I am sure I do not get all the performance an excellent player might get, but more often than not, one will find me playing Titleist. The grandkids give me a dozen each Christmas, decorated with Christmas and Winter themes (no Snowmen!!). 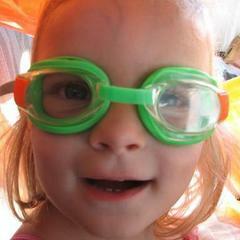 I am looking forward to trying out what Snell has to offer when I win the contest. Sorry fellas, you are all playing for 2nd place. 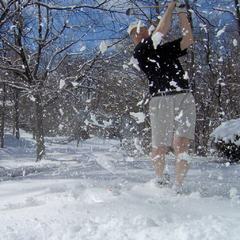 Gripit posted a topic in Balls, Carts/Bags, Apparel, Gear, Etc. Hey guys, I know there is a thread about Vice Pro and Pro+ balls, but Vice now has a new ball, the Pro Soft. These balls come with a "matte" finish, not a glossy finish, and also are available in colors. They are supposed to be designed for slower swing speeds, and since I'm 63 and have lost some speed and flexibility, thought I'd order some. So...I thought I'd ask if anyone else has tried them. My first impression was this balls looks weird (because the finish is flat, no shine), but after a few swings that didn't bother me. What struck me was this ball is like soft butter off my putter, but felt very firm off my driver. It seemed to have really good spin...a 7 iron from ~148 yards out stopped about six inches from its pitch mark, and a 6i from ~160 to an elevated green ended up about four feet from where it hit. Wedges checked up very nicely on short pitches, when sometimes I get roll out with my regular ball. The ball feels really good off my irons, and like I said above, it feels firm off my driver but like soft butter off my putter, and I've never played a ball that felt like that before. Am I crazy, or can a ball feel that different with different clubs? Overall, I think like this ball better than what I was playing (Wilson Duo Spin). Has anyone here played these? 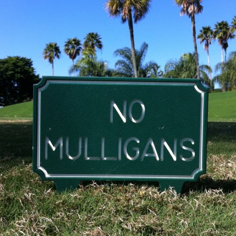 No Mulligans posted a topic in Balls, Carts/Bags, Apparel, Gear, Etc. Pro V1 vs Pro V1x? 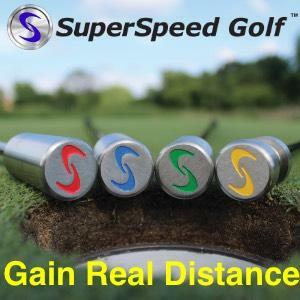 span3636 posted a topic in Balls, Carts/Bags, Apparel, Gear, Etc. I recently purchased a sleeve of pro v 1's. I have been playing the x model. I heard Adam Scott plays the pro v 1 regular. Not sure if this is true or not. Anyway, not sure if it was just me, but I did not seem to lose any distance on my driver or irons. The ball seemed to play well around the greens too-plenty of spin. I would be interested to see what others experience has been with these two balls.